Laser tattoo removal is a simple out-patient procedure that uses specific lasers to target tattoo inks, break them down and gradually remove them from the body. The process is far less invasive than getting a tattoo and takes less time. Treatments take a series of sessions and each one usually lasts from 5-15 minutes or less. Patients sometimes have treatments on their lunch break and return to work the same day. Atlantic Laser Tattoo Removal has both PICO and NANO technology lasers, the most effective lasers in the world at removing tattoo ink. Investing in two laser platforms sets our office apart from most providers as these technologies complement one another in the process of removing tattoos successfully. Laser tattoo removal works by directing light, or laser energy, at the tattooed area for a fraction of a second, passing harmlessly through the outer layers of skin and focusing directly upon the tattoo ink. The laser disrupts the ink allowing the body to break it down and flush it out naturally. The energy from the laser is measured in pulses that are delivered very fast, between 10 and 40 nanoseconds in duration for the NANO Laser. The PICO Laser we use has a shorter pulse that is delivered in measurements of trillionths of a second! The speed of the lasers are very important. This new technology is what allows us the ability to target the tattoo ink without harming the surrounding skin. To read more in detail about our lasers please visit our Pico and Nano technology page. Another feature these advanced lasers provide is called “frequency doubling”. This technology gives us the ability to have different wavelengths of laser energy from the same laser. Each of these different wavelengths target specific tattoo ink colors, making tattoos with multiple colors easier to remove. Atlantic Laser Tattoo Removal clinics pride themselves on being Virginia’s first leading provider of laser tattoo removal. 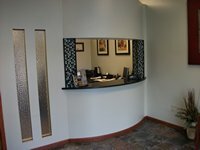 We were the first clinic in the state dedicated solely to tattoo removal. Keep in mind that laser tattoo removal is not new. For over 20 years, patients have been receiving laser treatments on their unwanted tattoos. Unfortunately, the older versions of tattoo removal lasers are not as efficient and could result in unnecessary complications and downtime compared to the technology that Atlantic Laser Tattoo Removal clinic’s use. When choosing where to have your tattoo removed make sure you do your homework. Not all facilities are the same. Are the providers specialist in laser tattoo removal or are laser treatments just one of more than a dozen procedures they offer? Atlantic Laser Tattoo Removal specializes in just that, tattoo removal. Are the clinical workers performing the procedure certified to do so? Is there a Medical Director on staff that is available? Atlantic Laser Tattoo Removal is a physician owned and operated facility and all treatments are performed by a certified medical staff of estheticians, nurses, and physician assistants. How long have they been offering laser tattoo removal services? Atlantic Laser Tattoo Removal was the first tattoo removal office in the entire state of Virginia and is proud to have won Virginia Pilot’s “Best of Hampton Roads” for 10 straight years and counting. What technology are they using? Do they use a current FDA approved laser for tattoo removal? Some lasers are indicated for multiple procedures but unfortunately, these types of lasers can lead to issues, as well as poor results. Do they offer both Pico-technology and Nano-technology? Our office is proud to have multiple lasers with both Pico and Nano technologies. Investing in the ability of having both lasers is one of the main things that set A.L.T.R. apart. You can read more about our lasers on our pico and nano technology page. Does the office have real before and after pictures? Some offices are provided before and after pictures when they purchase a laser and these photos do not represent true results. Our office has a portfolio of hundreds of before and after pictures that are unedited and uniquely of our real patients. You can visit our before and after page to see more. Does the provider offer free consultations? Consultations are not only to inform clients of their options regarding laser tattoo removal, they are a great way to inspect the operating facility and its manner of business. Click here for your free consultation at Atlantic Laser Tattoo Removal. 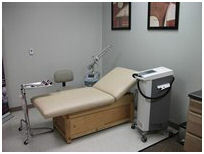 Be sure to visit our sister company, Vaderma, for your Virginia Beach Laser Hair Removal needs. Or visit Atlantic Teeth Whitening for your Virginia Beach Teeth Whitening needs.